"Whenever the USA Film Festival calls, I try to answer because it means so much to me personally." Support for women is not a new concept at USAFF -- an organization featuring women leadership for decades. Equity, equality, education and diversity are our mission. The USA Film Festival is a Dallas-based, 501c3 non-profit organization dedicated to the recognition and encouragement of excellence in the film and video arts. YEAR-ROUND programs and events include the annual Spring USA Film Festival, now in its 49th year; the annual KidFilm® Family Festival, now in its 35th year, the oldest and largest-attended international children's film festival in the United States; special premieres; a 41-year-old Short Film Competition; year-round "Meet the Filmmakers" screenings; film series and retrospectives organized around important themes and filmmakers; presentations of restored prints on the big screen, and educational activities including filmmaker discussions and extensive community outreach activities. LIVE CINEMA -- Through its year-round multicultural programs and special events, the USA Film Festival provides an opportunity for the public to discover films not scheduled for commercial distribution and sheds new light on familiar films by facilitating discussion and encounters with filmmakers and lecturers. With the exception of special member screenings, all events are open to the public. MOVIES ON THE BIG SCREEN THE WAY THEY WERE MEANT TO BE SEEN -- Programs take place at proper theater settings throughout the Dallas area, in fully accessible facilities, to ensure maximum accessibility for all publics. A YEAR-ROUND EVENT -- The Festival presents programs every month -- We're a 50-Day Festival! PROGRAM MISSION -- To enrich our community through a wide variety of cultural and educational programs; To promote equality and equity through both our programs and through access for all publics by presenting free and low cost programs; To celebrate the film and video arts; To utilize the power and popularity of the visual medium to reach and teach people of all ages; To support filmmakers by providing an outlet for their works as well as providing the opportunity to speak with our audiences. at the brand new Bob Hope Theatre on SMU Campus with Dr. Bill Jones moderating the Q&A. 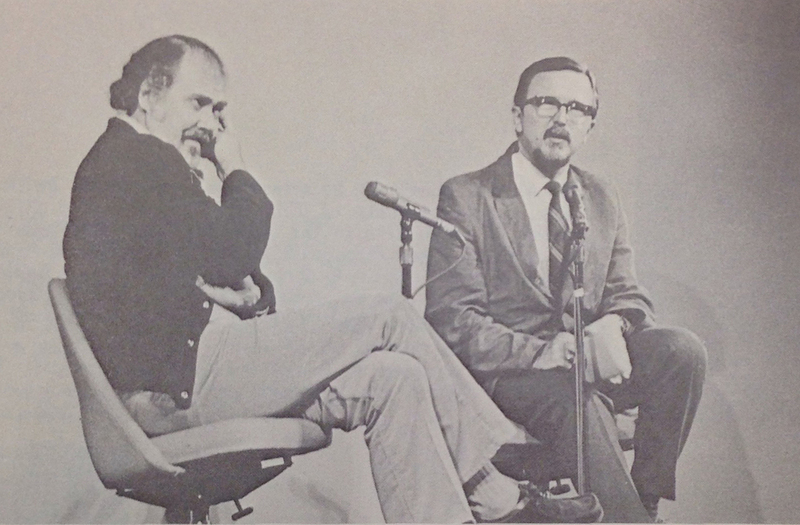 Following its original incarnation in 1970 as the "Screen Generation Film Festival," and a (pre-Cannes) visit from filmmaker Robert Altman (pictured left below with Dr. Bill Jones) with an early cut of MASH and pre-release screening of The Sterile Cuckoo with Alan Pakula (complete with coast-to-coast hook-up so that students in San Francisco and Manhattan could participate in the post-screening discussion) and Michael Wadleigh with Woodstock, the USA Film Festival was officially created in 1971. Both Altman and Pakula, having provided the inspiration for the creation of the Festival, became our life-long friends, visiting the Festival and Dallas with their films many times throughout their prestigious careers. In 1973, the focus shifted. Rather than a competition, the annual festival became a showcase for American films. The critics, acting as scouts instead of judges, offered films they deemed worthy of recognition and invited filmmakers and creators for on-stage discussion with the audience. Early critics and jurors included Hollis Alpert, Charles Champlin, Roger Ebert, Paul Schrader, Judith Crist, Barbara Bryant, Manny Farber, Andrew Sarris, Dwight MacDonald and others. 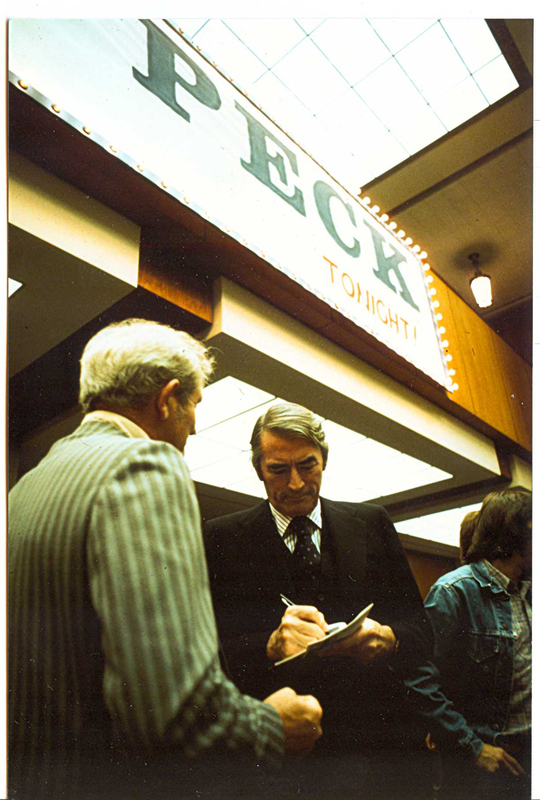 The following year, the Festival expanded its activities, honoring Gregory Peck at the first Great Screen Actor Retrospective. 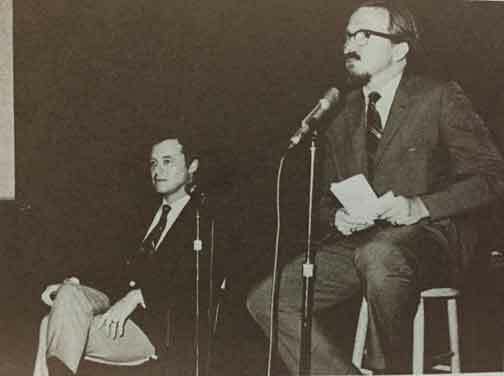 Peck was present for the three-day event and appeared on stage each evening for discussion with the audience. Today the program exists as the Master Screen Artist Tribute. In the 1970s, with the first Short Film Competition, the Festival recognized excellence in this important cinematic form. Since then, the National Short Film & Video Competition has been broadened to include video arts and has screened thousands of films and videos, awarding over $350,000 in cash prizes, and presenting the top entries each year at a special ceremony on Closing Night of the spring festival. Numerous winners and finalists have gone on to receive Academy recognition (shortlisted, finalists and winners). In 1981, recognizing the need for informational programs and resources among the rapidly growing metroplex film community, the Festival dramatically increased its scope by offering a slate of activities throughout the year with a special emphasis on educational programs. In addition, the Festival established on-going partnerships with over 200 local arts, cultural and social service organizations to present unique programs spotlighting the wide variety of experiences recorded on film. In 1975, responding to the void of high quality children's film programming in the commercial market, international film library consultant Barbara Bryant curated the first annual Children's Film Circus for the Festival. 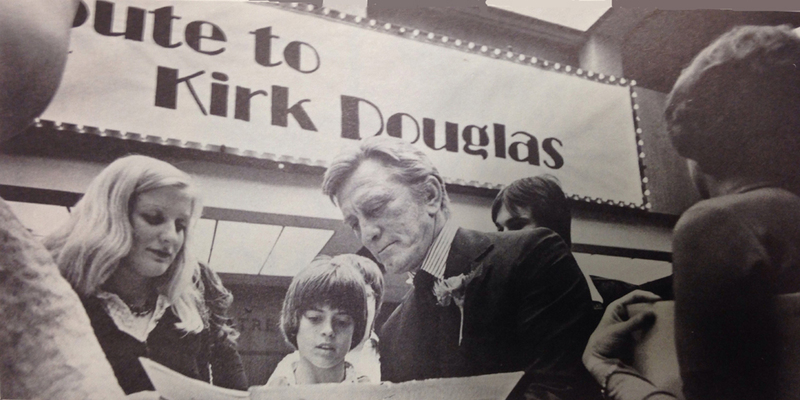 This program was officially christened KidFilm Festival in 1983, celebrating excellence in children's media arts. As the first festival of its kind in this country, KidFilm brought national recognition to Dallas and has become the inspiration for similar programs nationwide. Today, KidFilm is the largest-attended children's media festival in the United States bringing 10,000 children, educators and adults to this popular arts-in-education curriculum-interactive program every year. Since its inception, KidFilm arts-in-education programs have served over 200,000 DISD students and educators -- utilizing the media arts to enhance literacy skills -- and we have donated over 5,000 books to Dallas area families as part of our KidFilm Literacy Program. In 2018-2019, our monthly programs will include the 35th annual KidFilm Family Festival; the 49th Annual Spring Festival, the 41st Annual International Short Film and Video Competition and the best new American and foreign works; TexFest, along with numerous on-going series and other year-round programs, retrospectives, tributes, premieres and events. Since its existence, the USA Film Festival has presented the world, national or regional premieres of thousands of studio and independent feature films as well as short experimental, animated, documentary and dramatic films. Throughout the years, the Festival has brought to its audiences thousands of leading directors, producers, actors, screenwriters, editors, composers, production designers, cinematographers, historians and other experts, fulfilling its mission of creating a "LIVE CINEMA" experience, whereby filmmakers present their films in person and discuss their works with the audience.